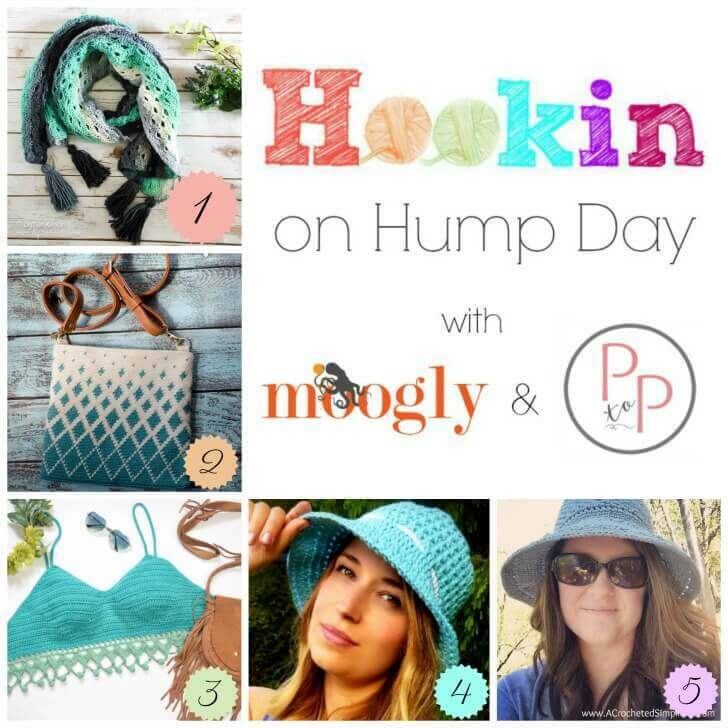 Welcome to Hookin on Hump Day where you see what’s trending in the fiber world and get the latest and greatest crochet and knitting patterns! 1. MOST CLICKED LINK: Stormy Days Wrap by Left In Knots – This cozy and pretty crochet pattern includes video tutorials, and it’s FREE! 2. Titan Tapestry Crochet Bag by Crochet 365 Knit Too – The crochet pattern is charted, gorgeous, and also FREE! 3. Plus Size Mehndi Halter Top by Morale Fiber – This PAID crochet pattern expands her pretty festival tip to sizes for everyone! 4. “Let the Sun Shine” Sun Hat by My Hobby Is Crochet – Stylish, practical, and a FREE crochet pattern! 5. Stop and Rewind Sunhat by A Crocheted Simplicity – Why choose? Make both! Another lovely FREE crochet pattern! Previous Post: « Tunisian Crochet Blanket Pattern … Customize to Any Size!